A recent forum hosted by the AARP examined why senior caregivers are typically less vocal in both political and social forums. While an estimated 45 million Americans are providing care for a senior citizen, this important segment of the population has been slow to organize and voice their need for support from the government. 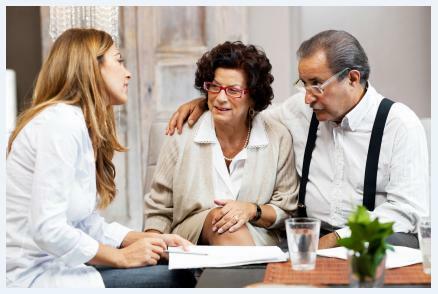 • Senior caregiving is temporary: Typically, family caregivers are an adult child or relative who comes into the role as a loved one ages and maintains their duties only until the individual requiring care moves into a skilled care facility or passes away. • Lack of identity: The article “Why Caregivers are Bad Advocates” (LINK) cites that most people identify race, sexual orientation or disability as a part of their identity. Thus, these headers often have fervent advocates. However, family caregivers don’t often see their role as a major part of their identity. • Inability of seniors to advocate for themselves: While other sectors of the population may be well enough to advocate for themselves, seniors are often frail and unable to voice a need for support for themselves, and their caregivers. Family caregivers make a major contribution to the social and economic wellbeing of America. You are the backbone of our homecare system and deserve the same kind of support afforded to other special interest segments of the population. Get involved as an advocate by contacting one of the below listed organizations, or your local commission on aging and become a voice for the wellbeing of senior caregivers. Have you done something positive to advocate for seniors or family caregivers? Leave a comment and share your ideas for giving a voice to the family caregiver.